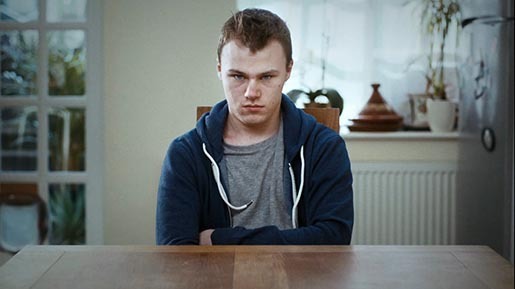 National Autistic Society in the UK launched “Sensory Overload”, an inspirational film designed to raise awareness for National Autism Awareness Month. The film opens on a dripping tap, a hollow echo which becomes an intolerable racket when combined with a barking dog, a siren, an animated mug, ticking clock, television cartoon show, a tapping foot. If that wasn’t enough the patterns on the wall and clock join to create an overwhelming visual collage of movement. The film cuts to Chile, a teenage boy with autism suffering silently at the table. Please note before watching that this film is intended to simulate sensory overload and so features loud, repetitive noises. The Sensory Overload film was developed at The News by creative director/copywriter and art director Kit Dayaram, creatives Stine Hole Mankovsky and Oli Kellett, working with Dave Boorman, head of supporter fundraising at NAS. Filming was shot by director Steve Cope via Rattling Stick with director of photography Clive Norman, producer Kate Taylor, production manager Charlie Lodder, location manager Toby Haak, production designer Stef Grieve, makeup artist Bev Pond-Jones and costume stylist Lydia Kovacs. Editor was Izzy King at Stitch Editing. Visual effects were produced at Electric Theatre Collective by producer Lee Pavey, Lead Flame artist Taran Spear, Flame assist Ana Sigüenza, CG team Jonathan Topf and Julien Soulange, and colourist Aubrey Woodiwiss. Sound was produced by Munzie Thind at Grand Central.